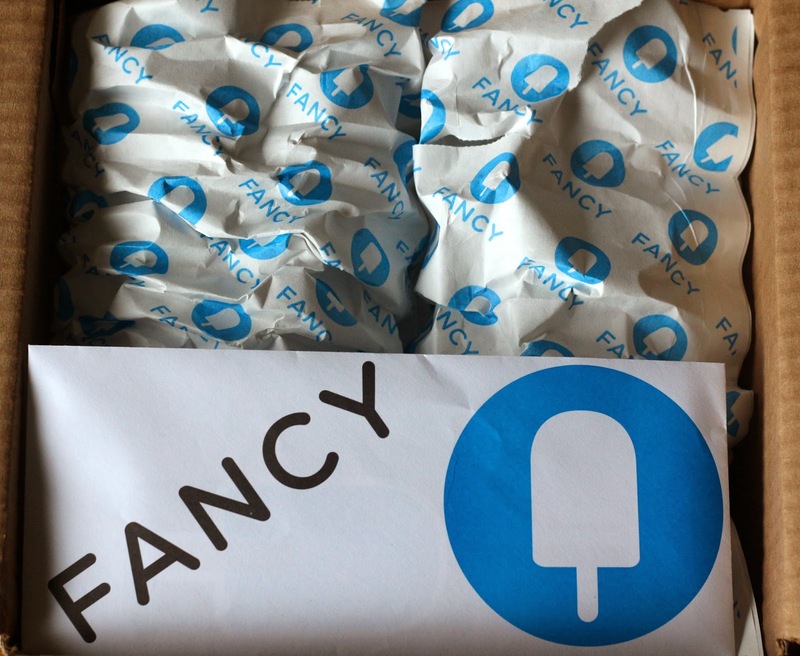 Fancy is a strange combination of things: kind of like Pinterest, kind of like an online shopping website, and they offer subscription boxes, some of them are from celebrities. I have been wanting to subscribe for a while, but I just couldn't afford it at the time. I finally took the plunge and subscribed to the Tyler Florence Fancy Box, and I am so glad I finally did! 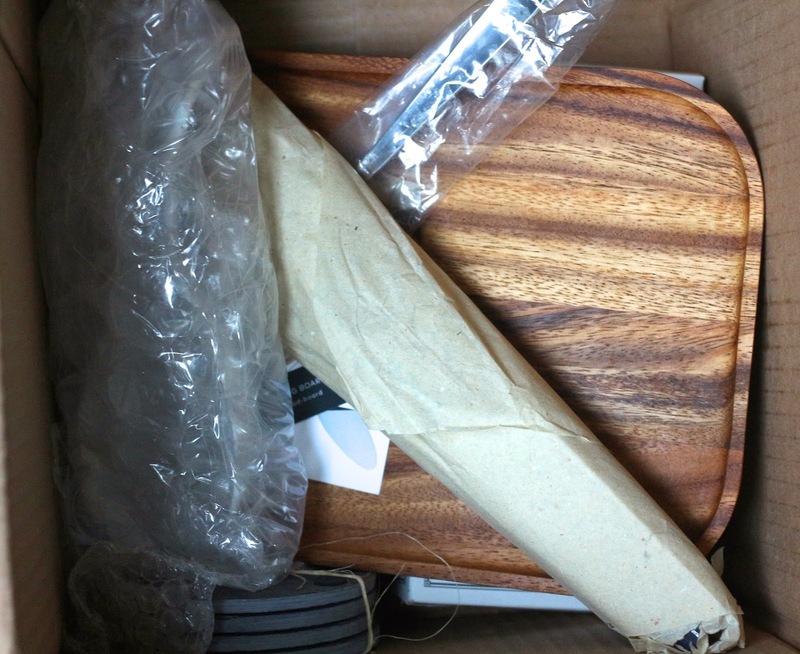 Fancy boxes are $39 plus $7.95 shipping, and this one from Tyler Florence includes housewares and kitchen items. It seemed very nicely packaged and came with an envelope of some Fancy stickers and a return sticker, which I actually didn't know they did. That would be nice if you got these for a while or if you got a bunch of items you already have. Nice little info cards of each item in the box. The first look, I actually already looked at some other reviews, so I knew what was in here. 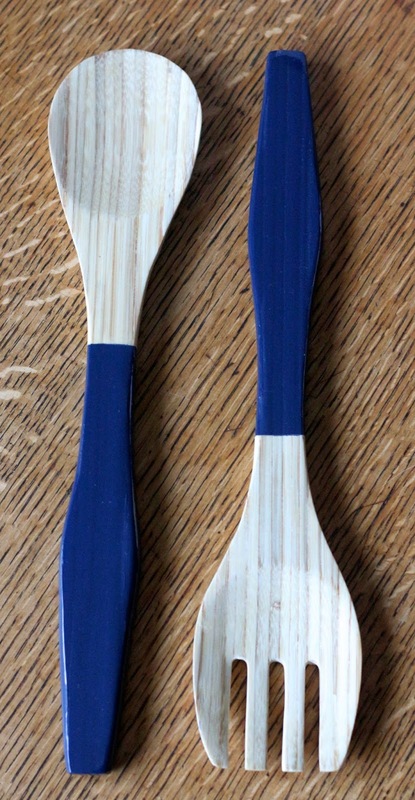 Set of 2 Bamboo Servers - ($21) These are really nice quality I can't wait to use them in some nice salads! 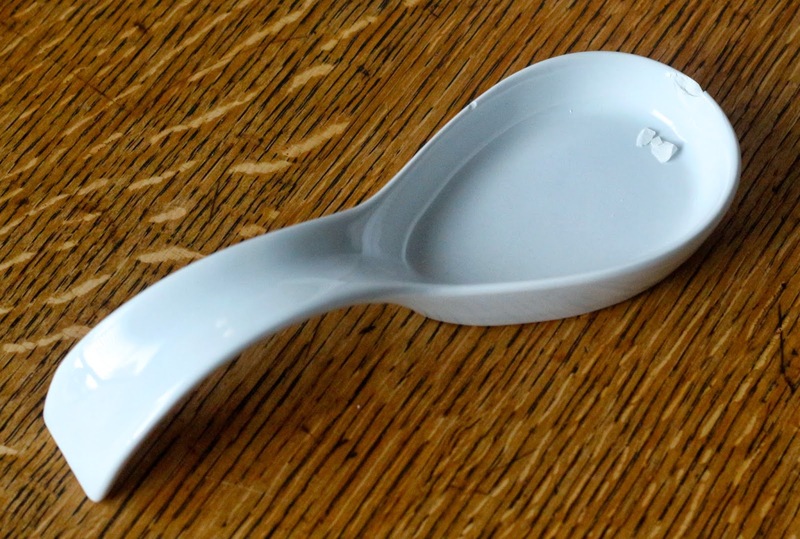 White Spoon Rest - ($9) You can see that this arrived chipped, and I've emailed them about it. There's nothing quite like getting a feel for a company's customer service when you receive wrong items or damaged items the first time you order from them. I just wish it didn't feel like I have been emailing someone about some problem in almost everything I've received lately. I also didn't appreciate that the FedEx guy just basically dropped this box on the porch. They must never order anything online. Besides the chip, I actually like this and totally need one. I can't wait to use my hopeful replacement. 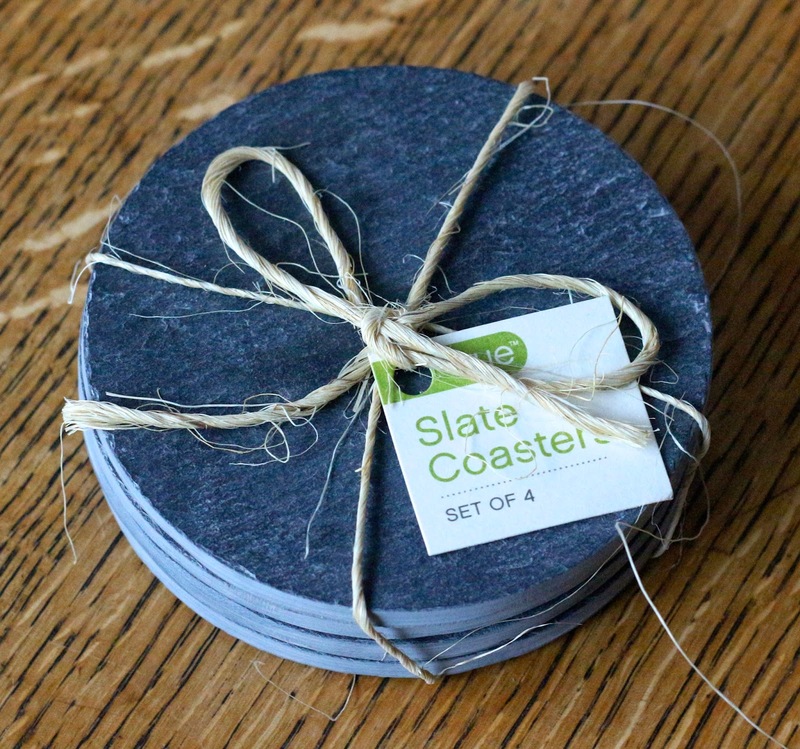 Round Slate Coasters - ($12) Absolutely perfect. I have been wanting a set of nice stone coasters that are good quality, heavy, and will absorb all condensation. I have a few sets of just cheaper cork or metal ones, but these are just what I've been looking for. 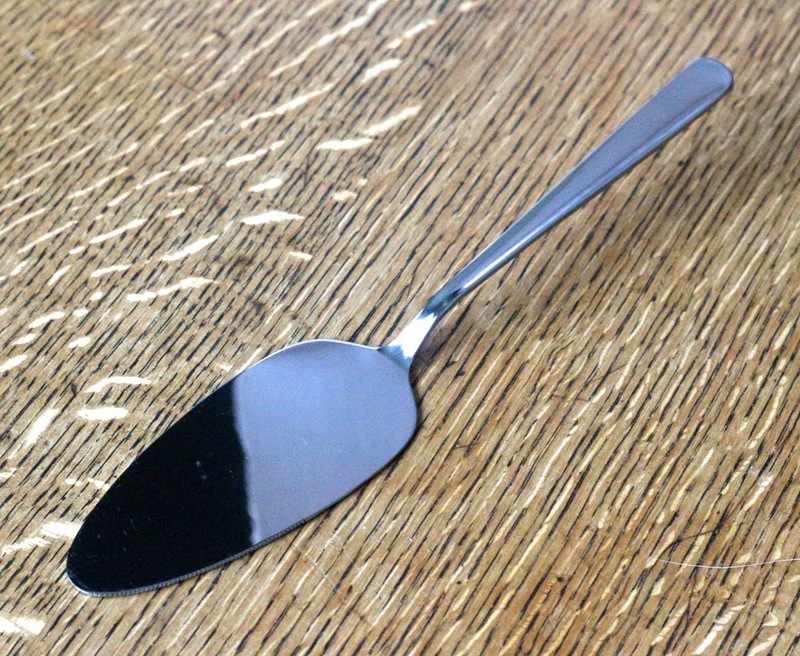 Cake Server - ($6) Who doesn't need a cake server in their lives? I know I sure do. And more cake. There really isn't enough. 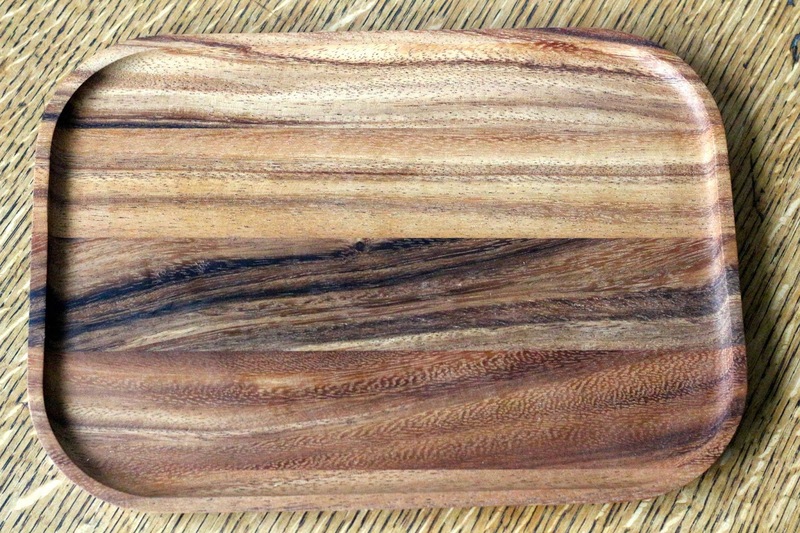 Small Cutting Board - ($25) This is light and really nice quality wood. 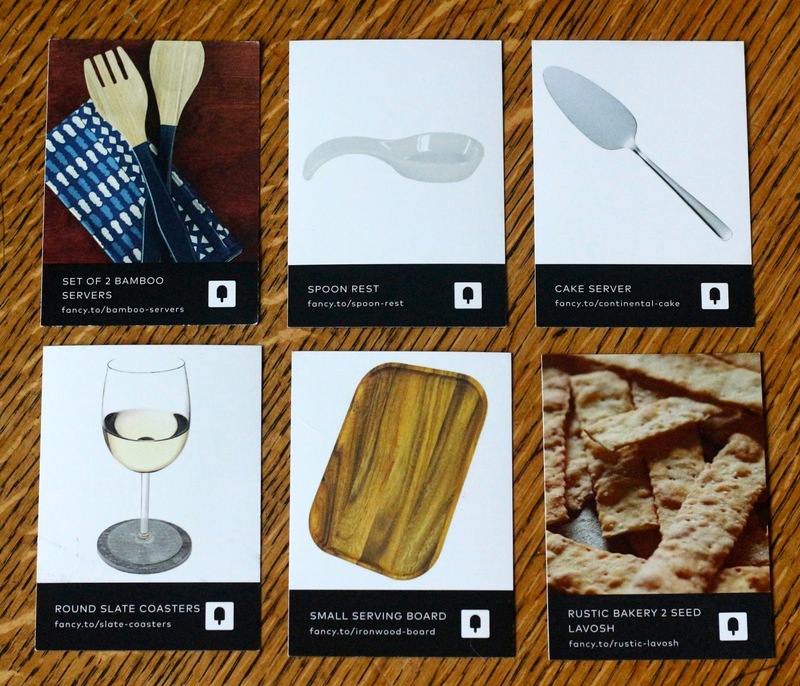 I can't wait to have a cheese tasting to use it. 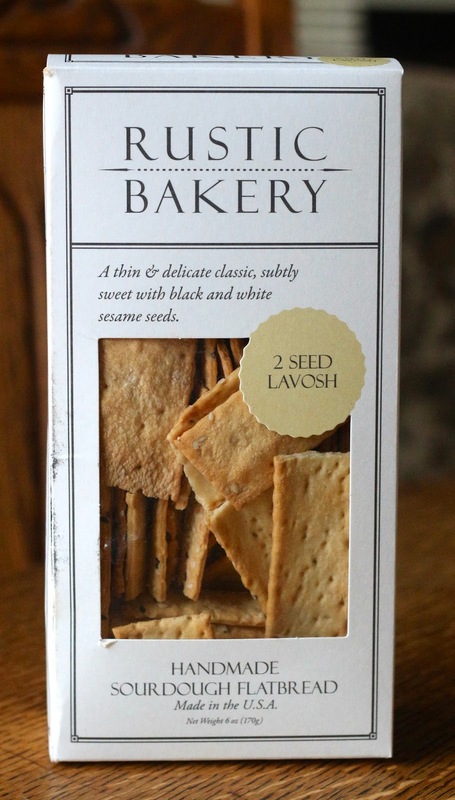 Rustic Bakery 2 Seed Lavosh - ($8) I've had this brand of crackers before in one of my Quarterly boxes, so I know they're good. Will go perfect with my jam I got in my Hatchery box (look for that review coming soon). 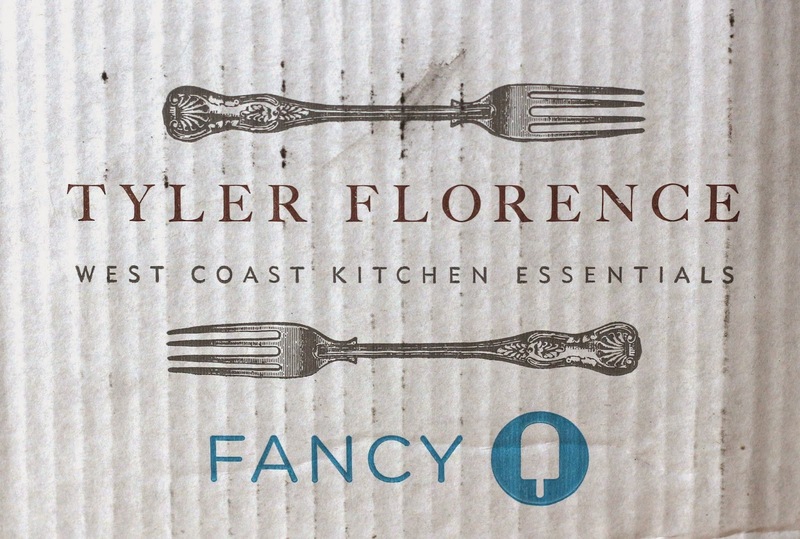 The Tyler Florence Fancy Box cost $39 plus $7.95 shipping and I received $81 worth of products! That's a pretty good value, even though all Tyler Florence Fancy Boxes are promised to be worth $80+, so this is right on the cusp of that. I think this is a great box for someone getting their first place of their own, or even anyone that just needs to restock some essential kitchen utensils/items. I have been slowly collecting many of the essentials for when B and I move in together again (hopefully this summer), and while I would say I probably have more kitchen stuff than your average apartment owner, I don't have any of these items yet, so I'm really glad I decided to subscribe to this box. I will be continuing my subscription as long as I can, money allowing.